I spent turkey day modding my PAiA FatMan. I added a sub-octave square wave oscillator, hard sync switch, and band pass filter switch. 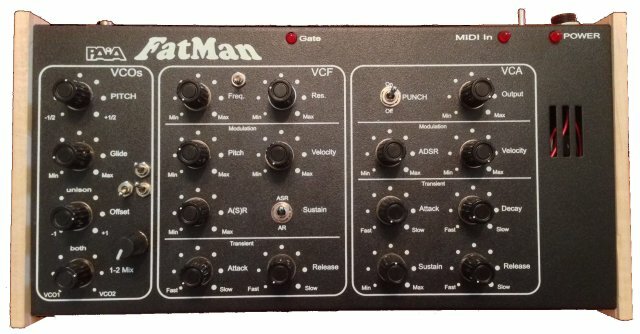 The two sawtooth oscillators in the FatMan often sound too buzzy for my liking. The sub-osc adds a really rich tone. I am super happy with the sound! The sub-osc has a volume knob, a switch to select one or two octaves down, and a switch select which oscillator the sub-osc is based on. The hard sync option gives a lot of interesting timbres. That is probably the most useful and easy mod you can do to a FatMan. The band pass filter option just sounds thin. I do not use it, and I would not recommend doing the mod. I also replaced the linear LM555s with CMOS 7555 versions to prevent softsync when the two oscillators are close in frequency. That is a well known issue with the FatMan. I also had to increase the resistor in series with the zero offset trimmer. 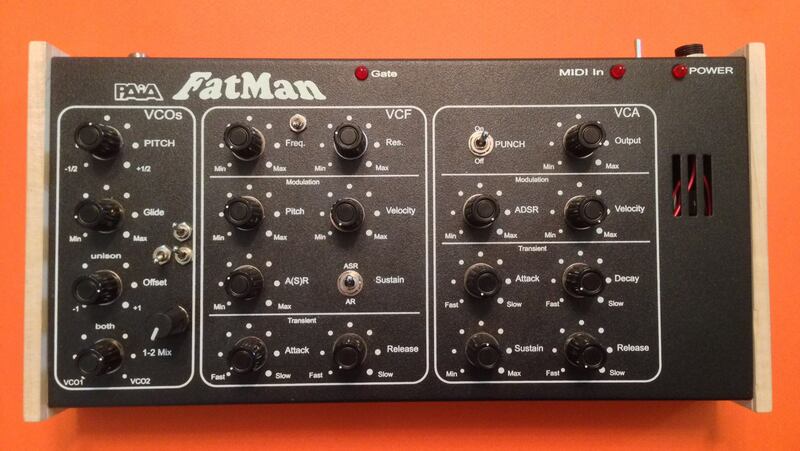 Scott Gravenhorst has a great FatMan mods page with lots of schematics and links.